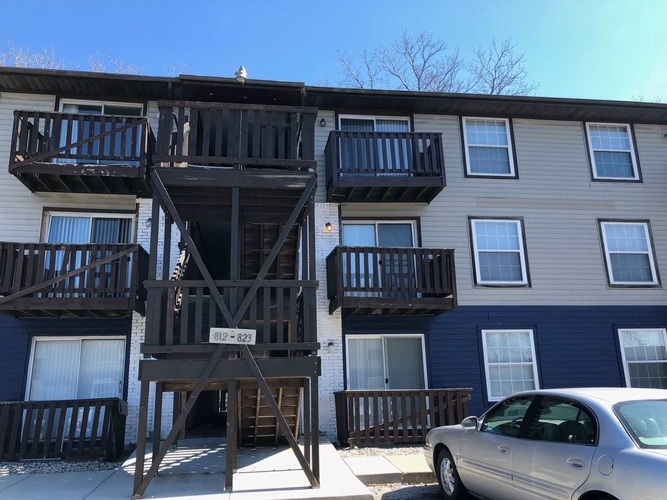 Great investment opportunity w/this 4 bedroom, 2 bath condo with vaulted ceilings within walking distance to Purdue. Third floor unit features vaulted ceilings and great natural lighting. All appliances included with washer/dryer. Convenient to all West Lafayette has to offer including shopping, restaurants, movie theater and more. HOA $180/month. Verifying current rent amount received. Directions:Enter Levee Plaza off Brown St near BW3's & Poblano's. Go around the right side of the plaza, look for the signs directing to Waterfront/Sugar Creek. Unit 822 is in building 6, 2nd floor.